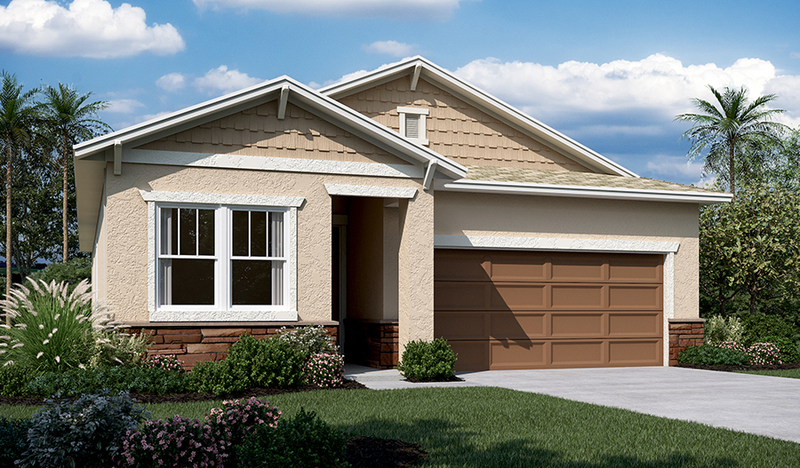 A charming covered entry gives this ranch-style model home ample curb appeal. Inside, you’ll find a spacious great room and a generous nook that flows into a well-appointed kitchen with quartz countertops, white cabinets and backsplash, a center island and stainless-steel appliances, including a 30" range. The relaxing master suite boasts a private bath with double sinks and a linen closet as well as an expansive walk-in closet. Three additional bedrooms, a convenient laundry, an adjacent mudroom and a generous patio complete the home. Includes 12" x 24" cream ceramic tile flooring!